Copier or Printer on the blink? No problems. A1 Copiers has over 33 industry experience and knows the importance of getting your machine back up and running within 2 – 4 hours of your booked call. Using only OEM/genuine parts means we can fully guarantee optimal performance whilst giving you the best and most cost effective repair. 1. We will restore, repair, refurbish, your machine at the lowest possible price. Guaranteed. 2. We use genuine parts, so you can be guaranteed your copier repair / restoration will go the distance. 3. We guarantee all our work. If it’s not fixed properly on the first repair, we come back and fix it for free! Photocopier Brands we service, repair, connect and configure to network scan and print. Our number one priority is making sure that your copier is up and running within 4 business hours of your logged call. 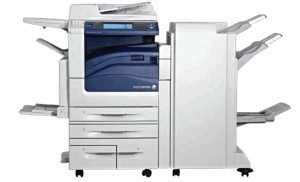 With over 33 years of office equipment experience Melbourne Wide, you can rest assured that you will receive the highest quality service possible with the lowest price when your copier or printer is serviced or repaired by us. Our knowledge base is up to date in both B&W and Colour copiers and printers. We also provide network configuration for print and scan on either PC or Mac machines. All work done is unconditionally guaranteed! If the initial fault reoccurs, we will come back and fix it for free. Guaranteed! Our office is based in Lilydale 3140 and we service the Melbourne Metropolitan area. Year after year our customers come back. We believe the reason is, we hold onto a core value of excellent service and uncompromising work standards. With 30 year’s industry experience, and thousands of satisfied customers, A1 Copiers knows the importance of providing a High Quality product whilst being timely, courteous and reliable. Our friendly and helpful operators are ready and willing to offer free advice, regarding advice on the purchase of a new or used Photocopier / Printer / Scanner.